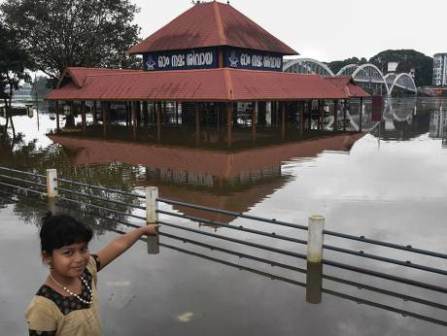 Thiruvananthapuram: Heavy rains pounded Kerala on Monday disrupting normal life with more rainfall predicted till Wednesday, weather officials said. In Alappuzha district's Chandriroor, an uprooted fell on top of the last bogey of the Thiruvananthapuram-bound Mangalore Express. It has been raining in several districts for the past 36 hours. More than 3,000 people have been moved to relief camps. All educational institutions in eight of the 14 districts in Kerala were closed on Monday and most of the university examinations were postponed.